Considering starting small, what am I too naive about? My wife and I are interested in starting a small distillery and scaling up if it works out and we enjoy it. It's a common tale, I know. I've been interested in distilling for a long time as a homebrewer and a big whiskey and rum appreciator, but want to go legit rather than moonshine at home. Both of us have good jobs which we'd keep and would do the first year or more of planning and licensing as a shared activity. We would be targeting tasting sales and farmers markets to cover the bills and are in a state/county where we can self distribute and where there's only one "competitor" who is a good guy with a good operation that I don't want to step on. We'd be no risk to him anyway for years because he has years of head start and is a real hustler. I've been doing the math for setting up a small distillery by browsing the products at ADE with a 400L mash tun/stripping still, a 100L spirits still, some IBC totes for fermentation, some steel drums for collecting, some aging barrels, etc., and assuming we'd do about 2 runs per month once we're in operation to start, so 24 batches of low wines run through our 100L still each year with a mix of gin, vodka, rum, clear whiskey, rye, bourbon. We have a relationship that could get us a nice space of around 1000 sq ft for $2000/mo where there is a lot of foot traffic all the time, especially on weekends. We don't know about zoning or fire inspection or anything like that yet which could make that spot moot, but it sure would be fun if it worked out. On startup costs, it seems like we'd be looking at around $20k for a 100G mashtun/still and a 26G moonshine still from Affordable Distillery Equipment plus freight. Then factor in $24k in rent for the year before production. Beyond that we'd probably have some trades work that needed to be done like electrical, plumbing, carpentry of around $10k (we don't need a fancy place), and another $10k in pumps, grain mills, small chiller, etc. So that's $65k in costs plus legal costs (my guess for that was around $5000 but I could be way off base) for getting installed, incorporated, and permitted. My optimistic guess adding that up is around $70k for first year startup costs before distilling a drop. Then we'd be running 24 batches of low wines from our 26G spirits still in a year which I calculated would end up with around 2000 bottles of product at the end of the year at 80 proof. After subtracting ingredients, excise tax, sales tax, rent, utilities, insurance, and some marketing I calculate that we'd be about $10k in the black just doing it every other weekend. Of course this would go down each time a batch goes bad or a piece of equipment breaks, so we could easily end up in the red that first year on that schedule. It's not a recipe to get rich at that scale, but hopefully something to enjoy with the possibility of it being an income source down the line. I can see why the general advice is that starting small is not a winner's game. Scale up plans would be to basically increase by a factor of 4, so the 100G would end up getting a column and being our spirits still and we'd buy a 400G stripping still and go from there. Maybe in a new location which we'd be watching out for the whole time. Am I way off base for thinking this sounds possible if we can swing the startup costs and don't need it paid back for a while? Space is too small. Double or triple that, if you are going to have a tasting room. Your estimate is good as a base, but then you should double that for what to plan for, or $140K. And double the time to get things fully running. Rent seems high. Where are the operating costs? Utilities (electric and water, too small for steam)? Labor? The reason it looks reasonable, is labor is not in there, and that is what gives scaling up an advantage (same labor, more product). You are going to sell for $35/bottle? Planning all direct sales, no distribution? What about marketing costs? Way too small. There are so many more costs that I think you will find that to be profitable for production will take more than you think. Figure it on a more reasonable $100/gallon sale price and the math is tougher, 43 gal per month or 430 gallons of fermentation. That is 17 runs per month just to cover costs. Now at 2 years in and running 120gal still, I wish I had started at 300+ gallons. It takes no more work to make 300 gal vs 26, just the cost up front. It will take me a while to digest, but I'm glad for the feedback. I hadn't counted in the monthly accounting and brewery software, internet, etc. I'd been figuring on around $5k/yr marketing since we'd be starting small and staying pretty local, and I'd guessed around $3k/yr for utilities and the same for insurance. You're right that it only sort of works because there is no labor cost in there. On the small stills I'd be doing all electric jacketed, no steam. Bluefish, I'd be doing stripping on a 100G and spirit runs on a 26, so it would be fewer runs per month than 10, but your point is still a good one. I had been thinking looking at around $25/bottle for vodka/rum, $35 for aged rye/bourbon, $30 for gin. So I was assuming less than $35 because I'd left out some costs you guys pointed out. I'm kind of stunned that both of you were able to hit so close to the bottle cost I was kind of assuming without me saying it. It at least gives me confidence that I was doing the math approximately right on net income = sale price - (raw ingredients + taxes + monthly expenses). Anyway, very good points. The initial equipment cost doesn't triple as the size goes from 100 to 300 gallons. It just makes sense to start with a bigger one especially if I am already planning not to spend every minute there to start. For my vodka I strip in the 120 (~100gal) and then a spirit in a 35 gallon. i figure about 3:1 for a strip/finish. I only do that because of height limits in my space. I would need a split column to run vodka on the 120 gallon still. Works ok. I would start with income needed and size backwards. You should have enough information to get close. Also start thinking of barrel costs and time required to make product to fill them since that is next years sales. We started with pretty simular capacities and bottle prices about 6 months ago. We have been in the black every month, even after paying ourselves a basic salary. Only reason though is because we have a ton of sweat equity into the place, and took the time and effort to build a very nice, although small tasting room and are making money on cocktails and very limited food menu. It does also become a full time gig for a few people at that point. Our business model changed quite a bit over the year and a half build out process, but I'm pretty sure we settled on the best route for our size. Also depends on the laws in your state as to what you can do in a tasting room. Best of luck if you move foward. We are allowed to do tastings, self distribute, and on-premises sales, but are not allowed to serve cocktails, so it would look more challenging for us to be in the black from that point of view, but we are in an area that has a lot of high-income people out and about and $35+ bottles of craft spirits (assuming we can make a good one) doesn't seem like too abnormal of an impulse buy here. We'd definitely want to start much bigger if we were using distribution. I'd tried working out the math on that, and it doesn't work out at all with all of the fixed costs to start it as an "expensive hobby" sized operation to send $12 bottles into a distributor. For the aged whiskey portion of what we'd sell I was including pricing for the smaller end of barrels from The Barrel Mill because they make pricing available online, and I figured other manufacturers would be around there. If you love distilling as a hobbyist - think about it very carefully before opening a real distillery. A small distillery is a ton of work, so what used to be enjoyable on a rainy Sunday afternoon, now becomes something you have to do everyday whether you want to or not. Understanding this and assuming you have previous business experience, the booze business is a good place to be. 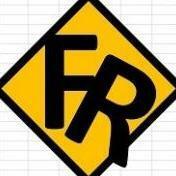 If this is your first foray into business, tread carefully, it can get very expensive, very fast. Very good advice here. I'm also very very (very) small. I am still working a full time job during the week and distilling on nights and weekends. Thankfully I was able to get my small operation up and going with cash, a business credit card and no investors breathing down my neck. But it has still taken me almost 2 years for this small business to start breaking even month to month and paying for its own expenses. I have a large built in crowd of foot traffic coming every weekend since I am located on my family's vineyard winery, and it still is not a guarantee of regular sales- some weekends are fantastic, other weekends (with bad weather, for example) there may be next to nothing. So if you're planning on just selling right out of your own tasting room only, you should plan on spending a lot of advertising. Not just with money, but employing someone who knows how to advertise events on social media and make the events happen from week to week. A lot of local breweries and distilleries here draw people in with live music, food, specialty food trucks, cocktail specials, social events, etc.. It's a constant rolling effort and appears to be somebody's full time job sitting on social media and setting these events up locally. "If you build it they will come" is not true, and you should not assume people will wander in just because you are there. Also- and I believe everyone else here will agree with this advice: try to plan for the unexpected expenses on your building. It is likely that your local government/fire marshal will spring something on you that you have to install there that you didn't plan for. And whatever that thing is will cost you about $5,000. Everything seems to cost about that much to sort out for some reason. Good luck. It's a lot of work, but also very rewarding when you have something nice to show for your work. So it sounds like you have a very friendly landlord and it took 2 years for you to start breaking even on your little distillery with a built-in weekend crowd? That's sobering. I haven't done distilling as a hobbyist. I've brewed beer as a hobbyist and can predict that I would enjoy distilling because the hobbies I enjoy also involved lots of learning, experimenting, and cool gear to acquire, build, and learn how to use. If it was legal to distill small amounts for personal consumption I'd likely just do that and be satisfied. I decided to get into this business based on some life events that I thought "fate" was pushing me towards. Never distilled a drop. I have only started and ran several businesses. I have not opened yet - target is next month, however I have said that before (was hoping for February). The worst thing I did when I decided to start this venture was not listen to the people that said double your cost and double the time. We had a $280k budget, with investors pitching in $220k and a line of credit at 6% for $100k. We went beyond that and are not open. Had to secure another $200k loan and still not open. Cant wait for a year to pass by and for me to answer that question. Wish you the best of luck! Hire Dave Dunbar for consulting with the TTB; one of the best choices I made. When they were taking 6 months, I got mine in 87 days. That was the easiest part. Ive had that license for 7 months now. Sigh. Wow, that's quite a story. I applaud your persistence in getting this off the ground and hope you are successful. On the advice to hire Dave, I've seen enough of his posts while lurking around these forums for a while that at least that part seems like a no-brainer. So start a brewery first, and add a distillery. A brewery has 5x better chance of being profitable, and then it can finance an incremental addition of distillery, you will already have tasting, brewing, marketing, etc., in place. and I'd guessed around $3k/yr for utilities and the same for insurance. Not likely. We only have a 50 gallon still. We pay about $2k/mo for utilities! Unless your electric, water, and sewer are nearly free? Your insurance rate is probably at about the correct minimum, but that means instead of $6K/yr, you might budget $15K/yr or more for the two combined to start. Keep in mind, the minimum might be a fixed cost, but that will scale proportionally with increase in production. Interesting to hear about the Alaskan experience. When I got started, we were thinking small and that we could get off the ground for song. We used to joke about the cost of getting into the business was the same as buying a used pick-up truck! Famous last words! Many hundreds of thousands of dollars later - I say, expect to spend at least $500K to start, even for a small operation. We're finally making sales now, but it was a long two years of getting underway. It kind of sounds like the only way to get into the business is to vastly underestimate the cost and time until it's too late and you're already committed. If you figure out the actual costs ahead of time you'd never do it. ? Absolutely, that's how we did it. Another good thing to do if you are planning to operate on nights and weekends is to make a list of all the things you like to do in your free time: camping, hiking, fishing, bbqs, dinner with friends, spontaneous travel, etc and then imagine not doing any of those things for several years. Another common problem, which causes costs to rise - is that when you are dealing with contractors, local gov't etc - as soon as you tell them you are opening a distillery - they make two instant assumptions... you are rich and you are going to make lots of money. At this point, they are mentally adding zeros to their quote as they tell you how great your idea is. There's also the fine line of having equipment sized so that it's affordable, allows you to earn profits, and allows you to grow. A 26 gallon still only meets the affordable part, and pretty soon you'll realize that you're spending a lot of time staring at the still and not making very much money. If you're spending a lot of time staring at the still that is going to cut into the time you could spend growing your business. You only make money after product leaves the door, so spend as little time as possible mashing, fermenting, and distilling because those phases cost money, not earn it. There are different levels of expense and goals. Trying to get rich and have a national brand will take millions and lots of employees. Trying to make a living and have a good time will take several hundreds of thousands and the effort of 1-2 people. If you have equipment that takes more than 8 hours to run, you'll likely need employees. So large equipment can be as bad as too small. We planned for a start of 1.5 people, 8 hour a day operations. That meant we could run an electric still of 600L with same day fill and overnight cooling. We could mash in less than six hours, again with fill, ambient cooling and cleaning. So, with light industrial electric (220v 400amp), 1000 sq ft, 600L still and six 600L ferment tanks gave us the ability to produce 100-125 750ml bottles per run/day if eight hours a day. Now lets say your a big overnight success and need more production. With employees, more fermenters and forced cooling this same setup could be run three shifts a day tripling production without tripling fixed capital costs. You'd need more ferment tanks. I believe the planning has more to do with your goals than anything else. I started pretty much the same way you described in your original post. Weekend warrior. Very small operation (400 sq ft.). Very DIY. Bootstrapped, out of my own pocket. I worked a full time job for my first 3 years of business planning, renting space, buildout, permitting, and product development. The most money I had in my savings account at one time was about $22k. Luckily I was able to gradually scale down my shifts at my job as my distillery started to cash flow and grow and I was able to start paying myself. I dedicated all my spare time and money into this thing for 3 years before I was able to really take the plunge and distill full time. It was a difficult 3 years. Broken relationships. No vacations. No going out to eat. No spending money on anything but life essentials. But I didn't know any other way to do it. And, in the end, I pulled it off. Now, I've been distilling full-time for 5 years and I have 2 happy full-time employees. We're growing wholesomely, naturally, and without any outside investment whatsoever. And (kicks myself in the face) we stupidly have never opened a tasting room. I'm not saying the way I did it was the best or most graceful. But it is possible. And if this is the way you visualize it being possible for yourself, by all means, get started ASAP! Let everyone else follow the typical business plan and make another distillery eerily similar to so many others. Let your struggles help build your character and define your story. You don't need all the expensive equipment to make good product. Keep your overhead and investment in equipment minimized and plan on spending all your free time and spare money on this for years. You won't sleep much. Build the most basic and utilitarian "tasting room' as you possibly can. A tasting room is a great way to quickly generate cash flow. And ability to self distribute is amazing! Not only are your margins much better, but you can build tons of value into your distribution network. Survival = Success. Take the plunge! This actually made me laugh. I wonder why not just hire from the start? Maybe because I have a career and am not relying on an income, but more of a long term investment - I needed to hire help on the forefront. These are all choices we have to make. Great news is, I found an amazing distiller. Time has allowed for certain things to come in place. I have decided to have faith in the fact that with time, everything seems to be working out. Still waiting on bottles, which has taken WAY longer than expected. Its a bummer because we have spent MONTHS working on the bottles and when they were ready for production, it has not gone smoothly. I will be waiting on bottles by the time we are ready to open. I finally tasted a drop of my possible product yesterday (eek, this was so exciting and has caused me to get butterflies in my stomach). I have never gotten down to comparing potato vodka versus wheat/rye. I could actually sip the vodka by itself, and it actually had a sweet flavor to it. I am now going to start tasting Chopin, Luksusowa, and Blue Ice in comparison. Fun and exciting times. I have my Groupon set to start immediately upon opening, news story lined up, and Kickstarter around the corner. Im anxious to see outcomes and how everything falls together. In the end, I fell in love with our bottle. Glad I spent the money and created a custom mold. It allowed me to know the bottle was going to be unique, and have a custom feel. 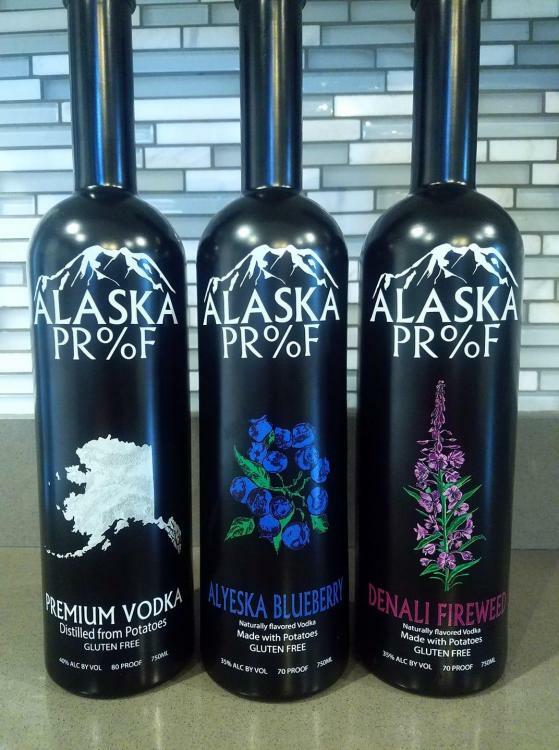 We have ALASKA PR%F embossed on the back, and BATCH907 on the bottom (which will be the name of a future spirit). Anyone have much experience with Facebook marketing? What worked/didnt work?